Why STEM, Why Not STEM? Lately I’ve noticed quite a few articles on women breaking barriers in science, technology, engineering and math (STEM) careers. I think the progress being made in this direction is wonderful. There are numerous benefits to having women in STEM careers. They are able to provide greater financial support to their families because traditionally STEM careers pay above the average pay scale. This shift in careers debunks the stereotype that boys are stronger in math and science. It also speaks volumes to our young girls because it expands the number of career options available to them. In fact, many companies are lending their financial support to organizations that are exposing young girls to opportunities in STEM. I recently read an article, Women in Science Technology Engineering and Math (STEM) on iseekcareer.com that said approximately 17 percent of women are chemical engineers and 22 percent function as environmental scientists. The article listed the top three reasons why there is a gender gap in these careers is because there are no female mentors, there is a lack of acceptance from coworkers and there are gender differences in the workplace. According to the National Science Foundation, in 2009, 22.6 percent of master’s degrees in engineering went to women. The article said it was the lowest percent given in science, technology, engineering and math fields. The US Department of Commerce found that one in seven engineers is female. These numbers show that men dominate women in STEM careers, but why. I think men disproportionally outweigh women in STEM careers because there was a time when boys were encouraged to consider careers in math and science and girls were encouraged to go into professions that relied heavily on service occupation skills. My thoughts were confirmed when I read a Forbes article, STEM Fields and the Gender Gap: Where Are the Women?The article said, “The problem starts as early as grade school.” That’s when I had my “aha” moment. Working for an organization that builds leadership skills in girls, are we the solution? Can we be the catalyst for change in this area? Girl Scout Research Institute (GSRI) released a study called, Generation STEM, What Girls Say about Science, Technology, Engineering and Math. The study was conducted with girls in focus groups and in a national sampling. 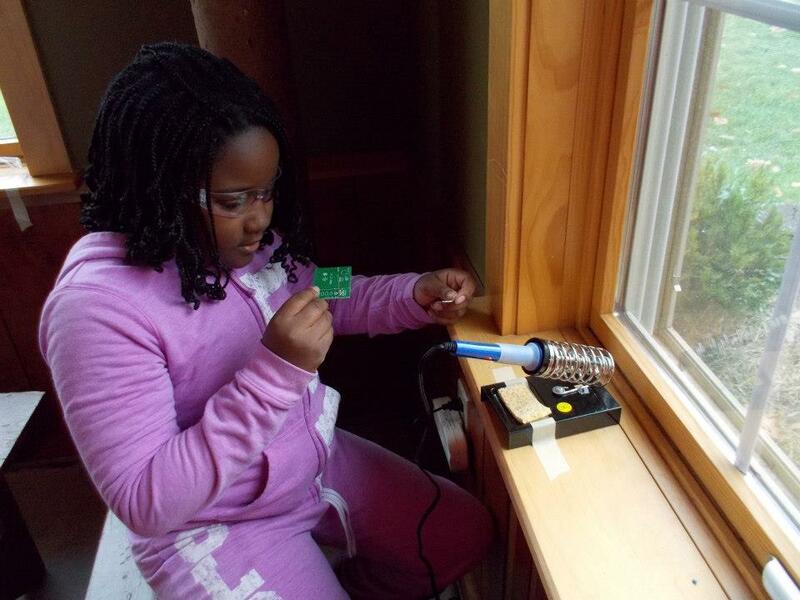 The study found that problem-solving, asking questions and figuring out how things worked made girls interested in STEM. Another finding discovered that girls interested in STEM are overachievers, doing well in school, and have support systems versus girls who are not interested in STEM. One of the final findings revealed that although a girl has an interest in STEM activities it doesn’t always translate into an interest in pursuing a STEM career. We still have work to do. So, how do we encourage girls to consider career opportunities outside of Art/Design, Social Sciences and Entertainment (ranked the highest by girls in the GSRI study)? The African proverb says it takes a whole village to raise a child. Anyone who has influence in the life of a girl can make a difference. Parents, educators, school counselors and non-profit organizations such as Girl Scouts, can dispel myths and increase awareness of what a career in STEM looks like. This can be accomplished with programs like “bring your child to work” day, having guest speakers who are currently working in a STEM career, and creating programs and activities that are STEM related are steps in the right direction.